This is my second post. Hopefully I'm not stepping on any toes by mentioning the other well known GA maker and forum. I realize there are tons of Seneca vs Baron threads out there already. My curiosity is more on why there are numerous active discussions on Beechcraft twins alone over on BeechTalk.com. And especially when that forum is private even for browsing (need to be approved by moderator to join for free). In just the Beech twin section, there are 12 new posts / replies since yesterday (currently it's early afternoon my time here on Sunday). That's a lot of activity in just a day and a half! And it's always been that way. 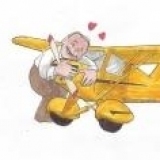 Granted the Baron drivers tend to be very proud of their birds. But Seneca owners are equally attached to their Senecas. Both have been built over roughly the same period of time so I would think the production numbers are similar. So why the huge difference in activity level?! Somehow I missed this post three months ago. I don't know how but hopefully my reply is better late than never. You raise a very good question when comparing the Baron vs Seneca forum activity. I've thought about this for a few minutes and I'm not sure that your observation is on a level playing field. It may be, I just don't know anything about the Beech forum that you reference. However, from your brief commentary, you mention that the beechtalk.com forum is free. Is that all that the forum is, is a forum? If so, there's a very big difference between the beechtalk.com website and the Piper Flyers Association. As an association, we have the mission to supply our members with many services including, but not limited to, the forum. 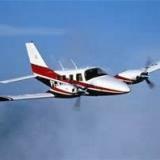 As a result, this attracts piper flyers for many different reason and not just the beechtalk.com online forums as suggested in your message. In my view, I would suggest that the piperflyer.org website has a similar but very different mission than beechtalk.com. Having said that, my personal choice for best PFA service is these forums, as evidenced by my activity online. My personal mission is to get many more PFA members to use the forum and contribute their experiences and opinions to other members, including you and me. My guess is that most members want to receive the PFA magazine and just be a member, in that order. While many PFA members don't have a preference or priority list for the order in which they prefer membership services, many members simply want to belong to the same tribe. Just belonging is very important to many of us, myself included. Getting back to the topic of forums, however, I'm very involved and am very pleased to see you online. How about writing all of us back on these forums and sharing information on and photographs of your Seneca? I'm certainly interested. Thanks for your thoughtful reply. You made good points about how Piper Flyers Assoc is different than most Internet based "portals" (for lack of a better word). The people running this organization are doing an excellent job. And I look forward to every issue of the magazine. My original post is really about my longing for a bustling online community on Piper twins - where people have virtual discussions. I get that some pilots are more active in-person (Eg. attending fly-ins) vs online though. I have a wide range of interests - and some of them have very active online forums. Online forums are a lot like stock markets - it has been said that if stock markets don't eventually make big moves, people will stop trading on that particular stock exchange because of lack of activity. As I have mentioned, some of the online forums I frequently browse have numerous posts within each category even on an hourly or daily basis. This draws even the lurkers (ie. people who only browse but do not post) in because even if you just go on the forum once a day or once every few days, there would be a wealth of information and discussions to choose from, not to mention the historical archive. And obviously on a lot of these forums, people ask technical questions or how to do something, and within a short time they get helpful responses back. I accept the fact that the pilot population may be a lot smaller than perhaps in other circles, but then in the example I brought up - the beech forum has very active discussions even in the twin section. Most of them in the beech twin forum are private owners who fly a lot - some of the planes are even pressurized. They are just super active in aviation and can't help but chatter back and forth. And of course they meet up in person once in a while too. I go to the beech forum just because there is nothing else out there for twins - and there are parallels when it comes to owning, operating and maintaining a twin that it doesn't matter as much what the emblem looks like on the yoke. As for my Seneca, it has been in the process of getting partially restored since it stopped flying 3 years ago when I bought it at the end of last year. I have been told it will be done very shortly - although I have also heard it numerous times so I am not holding my breath. In any case, between work and an upcoming summer vacation, I have very little time to even think about it. We have lots of twin owners - Senecas in particular - I appreciate any ideas about increasing participation in the forums. Good conversation, let's inspire and encourage other members to join in. As for your restoration, share photos and narrative on this forum of your accomplishments from time to time. I try to do that frequently. Thanks again and have a good week. I'll see what I can do in terms of posting on here the restoration progress. To be perfectly honest, I'm really more of a lurker than a poster everywhere else.